Bonnie Porter is an artist who lived in Europe and now resides in Atlanta. A part-time art teacher who paints and creates with a love of color, line and composition, drawing on inspiration from everywhere. Bonnie Porter is an artist who lived in Italy and Europe and now resides in Atlanta. 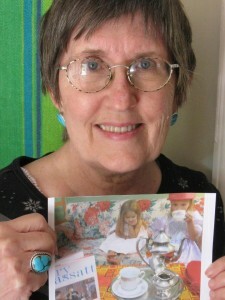 She paints watercolors, acrylics on canvas, murals and is a part-time art teacher.